YouTube was once a bastion of free speech, an open venue where alternative information could circulate and wake up millions worldwide. Now it’s increasingly a place where truth is suppressed, as YouTube’s 6 billion+ hours of content is ‘soft censored’ on the sly by its mysterious ‘safety mode’. Keep reading if you prefer watching liberating information to mindless entertainment. It seems that Youtube doesn’t care about your awakening. With so many hours of freely available information to watch, you might think that Youtube is a great platform to spread and defend the truth. But increasingly we are seeing restrictions on the types of videos that YouTube welcomes, even when they don’t breach Youtube’s published community guidelines. This is what you’ll see if you try to access a restricted video in Safety Mode. These restrictions are a new kind of ‘soft censorship‘, where videos are hidden from some users but not removed. This suppression is enforced by a mechanism known as Safety Mode. It was introduced to Youtube in 2010, and like many other recent forms of censorship it’s justified as a means to protect children from “inappropriate” content. While it’s not 100 percent accurate, we use community flagging, age-restrictions, and other signals to identify and filter out inappropriate content. If you have ever used Youtube, you would probably have come across a video you’d rather not have seen, or perhaps abusive tirades in the comments. In spite of Youtube having community guidelines, people generally just seem to upload and say whatever they want, even in bad taste. In light of the truly objectionable content that can appear there, Youtube’s Safety Mode might sound like a good thing, until you look deeper and realise that Youtube is blocking completely innocent and desperately needed videos – the type that uncover what’s really going on in the world and promote self improvement – while allowing terrible videos like real decapitations to continue unhindered. And in some cases you might just find that safety mode is forced on your computer with no way of turning it off. We encourage free speech and defend everyone’s right to express unpopular points of view. Unfortunately history shows otherwise. In 2007 – the year after Google bought Youtube for $1.65 billion – Google shareholders were asked to vote on an anti-censorship proposal. But the CEO and founders of Google encouraged shareholders to vote against it, despite having the power to personally veto the motion, as they owned approximately 66% percent of Google’s shares between them. Data that can identify individual users should not be hosted in Internet-restricting countries, where political speech can be treated as a crime by the legal system. The company will not engage in pro-active censorship. The company will use all legal means to resist demands for censorship. The company will only comply with such demands if required to do so through legally binding procedures. Users will be clearly informed when the company has acceded to legally binding government requests to filter or otherwise censor content that the user is trying to access. Users should be informed about the company’s data retention practices, and the ways in which their data is shared with third parties. The company will document all cases where legally binding censorship requests have been complied with, and that information will be publicly available. Sounds awesome doesn’t it? But given the proposal was not passed, can we assume that the opposite is occurring? Since then, there have been many instances of Google / Youtube censorship, including censorship of activists and journalists in the global awakening and truth movement. In fact the Electronic Frontier Foundation read Youtube’s terms and conditions as stating that they reserve the right to remove or block any content they choose for any reason whatsoever. Recently the activist Mark Dice got a firsthand experience of Youtube censorship. Mark is famous for his Illuminati exposes and man-on-the-street videos showing just how unaware of critical issues many members of the American public are (apologies if you’re a socially aware American). His channel had over 800 videos, 55 million views and 265,000 subscribers before it was shut down by Youtube for “severe violations” of the community guidelines, despite Mark having a reputation for keeping his videos and language clean and free from hate speech or the promotion of violence in any way. Thankfully his channel was later reinstated after there was an uproar and outpouring of support from others in the alternative truth movement. He’s not the only activist or citizen journalist to experience censorship. In this interview by truth activists Dahboo7 and FreeRadioRevolution (first 25 minutes most relevant) they talk about experiences where their videos have been targeted in organised mass flagging, down-voting and comment spam to get their comment sections shut down and videos removed. Alex Jones’ Prison Planet Youtube channel has also been censored in videos exposing underlying agendas in society. Why does Youtube censor critics who follow all the rules? “Soft censorship” is a phrase usually used to refer to indirect governmental censorship that influences news coverage through financial pressure, rewarding journalists and media outlets seen as friendly. This is a practise that often goes unnoticed as it is not usually obvious to the public. A search for the words “astral projection”. “Some results have been removed because Safety Mode is enabled” – but which ones? Youtube’s Safety Mode represents a new kind of “soft censorship”; one where videos can be blocked from many people while not removing the videos from the site completely. In some ways censorship via Safety Mode is worse than having your video or channel deleted. If your videos are taken down and you get a strike against the community or copyright guidelines, you are notified of the reason for the ban and given the opportunity to counterclaim if you feel the strike is unjust. Many people have had their videos reinstated through this process. However if your video is deemed “objectionable” and restricted in Safety Mode, there is no oversight, no notification and no means to challenge the restriction if you feel your video has been inappropriately targeted. While deleted videos will appear with a message in their place stating why the video has been removed, if you have Safety Mode on, videos will simply disappear from your search results or the channels you want to view and the only way you’ll find out that Safety Mode is blocking a video is if you try and access it via Google search results. So how do videos become restricted? But who is doing the flagging? What is their agenda? How are flagged videos reviewed if there have been instances of censorship for reasons having nothing to do with video content? Who gets to say what’s objectionable content and what’s “safe” for Safety Mode users to view? An article from the Wall Street Journal shows that there may be many forces at play in the censorship of Youtube videos. Recently Google gave roughly 200 people and organisations ‘trusted flagger’ status. A person familiar with the program said the vast majority of the 200 participants in the super flagger program are individuals who spend a lot of time flagging videos that may violate YouTube’s community guidelines. Fewer than 10 participants are government agencies or non-governmental organizations such as anti-hate and child-safety groups, the person added. These super flaggers are given the ability to flag up to 20 videos at a time and 90% of the videos they flag are either deleted or restricted – a much higher percentage than in the general population of Youtube users. It seems that what we are seeing is essentially crowd sourced censorship. Youtube seem to have opened the door to abuse through the false flagging of videos, having created an easy method that could be used by anyone with an agenda against awakening consciousness (including government and non-government organisations) to attack messages that disagree with their world view. As discussed in the Dahboo7 / FreeRadioRevolution interview, false flagging and trolling attacks are rampant against alternative truth. Trolls have even admitted that they have been acting under instruction when trying to suppress videos. This is particularly concerning as it stops minors from accessing the truth at an early age. By the time they’re old enough to escape Safety Mode (if they can), will their indoctrination already be so ingrained that they write off anything that challenges the status quo? What kind of things are being blocked? I was wondering what Youtube considers inappropriate material for minors and how that relates to what’s actually being blocked. Some videos don’t violate our policies, but may not be appropriate for all audiences. In these cases, minors or logged out users may not be able to view the content. Recently I was told that an interview I did for the Total View Show about my article ‘How Fear is Used to Turn You Against Spirituality‘ had been age-restricted. I knew it contained none of the inappropriate content mentioned above, so I headed over to the policy centre to learn more and checked out what a video could be flagged for. Still not understanding why the video had been restricted, I decided to check out some other popular alternative truth and spirituality Youtube channels to see what else might be hidden. To test it out for yourself, Safety Mode can be turned on and off at the bottom of your browser. I have to select and save the option two or three times and refresh the page before the settings will actually change. And last but not least investigative journalist Luke Rudkowski of We Are Change, whose channel has hundreds of videos and exposes Bilderberg and many agendas in society. This content is apparently so objectionable that Youtube is censoring all of it. If only it were that simple, but unfortunately it’s not! All you have to do is Google “youtube stuck in safety mode”, or “can’t turn safety mode off youtube” to see the number of people struggling with this issue. Safety Mode is enabled by the browser and can be locked to ‘on’ by a user when logged in. It stays in the browser memory due to a cookie being downloaded to your computer. If that cookie becomes corrupted Safety Mode can get stuck on. If you are running web filtering software like Bluecoat’s K9 or Microsoft Windows 8′s in-built “Family Safety” filter, these programs can force Youtube to stay in Safety Mode no matter what you do. Bluecoat was recently exposed on this site for its discriminatory blocking of alternative beliefs. If you are using a computer on a public network, say in a library, at a school or a university, then the network administrator can force Safety Mode to stay on. A Google employee has stated that entire countries can force the Safety Mode on at the network level. Try deleting all the cookies on your computer. If the Safety Mode cookie has become corrupted it may be locking you in safe mode. Search for “delete cookies (+ browser name)” in your favourite search engine for instructions. Safety mode is browser specific, so try a different browser. If that doesn’t work, try the anonymous browsing function available in many browsers. Remove or disable any filtering programs that may be forcing Safety Mode on. If Safety Mode is not being forced on by any programs, try turning it off in secure mode by adding an “s” to the URL directly after “http”. Use a VPN. You may need to try more than one IP if you find the IP you choose is still forcing Safety Mode on. Try viewing your channel of interest through a mobile browser which may still have a safety option but you may have more control over it. Make sure you do this ethically of course. Don’t try to breach work policies on Youtube usage for instance which might get you fired. And be sure to keep in mind that when you’re looking at Youtube, what you’re seeing in Safety Mode is nowhere near the full extent of information available to you. Don’t settle for mindless entertainment in place of the truth. If you do, then the corporations and the powers behind them have already won the war on consciousness. They may not want you to wake up but we do! If you’ve noticed any other ways alternative information is being censored please let everyone know in the comments. David has a deep interest in spiritual development, but has discovered there are many forces in the world working to keep people asleep. 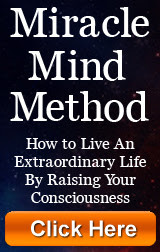 His recent interest has been researching the psychological tactics and techniques used to limit people’s spiritual potential, writing about his discoveries at The Conscious Reporter.